is there a real 5 digit sub without rehaut and without drilled lugs? I thought when the 5 digit had no rehaut it had drilled lugs. and when they added the rehaut they took away the drilled lugs? 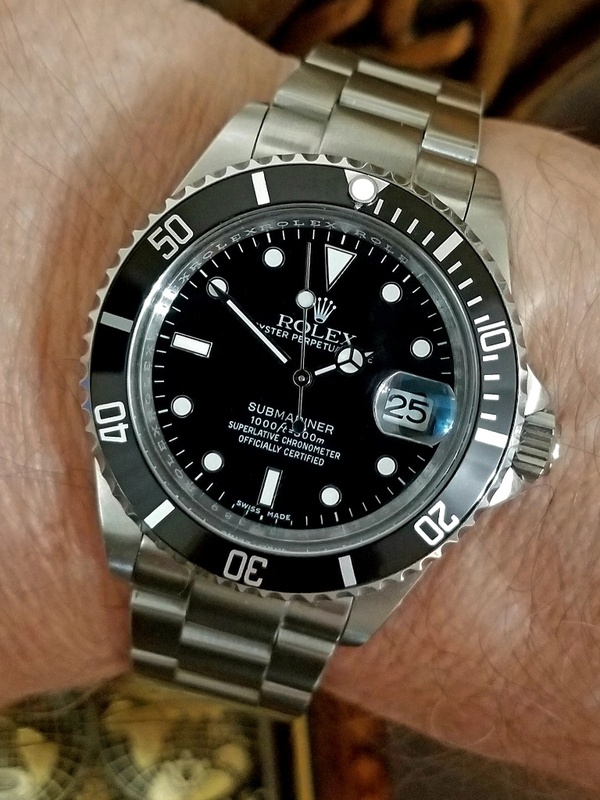 Im looking at Submariner 16610 LN Black No Rehaut Engraving JF 1:1 Best Edition on SS Bracelet SH3135. seems like options are so limited for 5 digit lovers. dam you 6 digit for existing! fat maxi dial and case! Rehaut engraving was added to the 16610 late 2007 on ‘Z’ serial cases onwards. Drilled lugs disappeared in 2003 on ‘Y’ serial cases. Many years of no lugs and no rehaut. Same watch, extra inserts. No lug holes. LF factory. 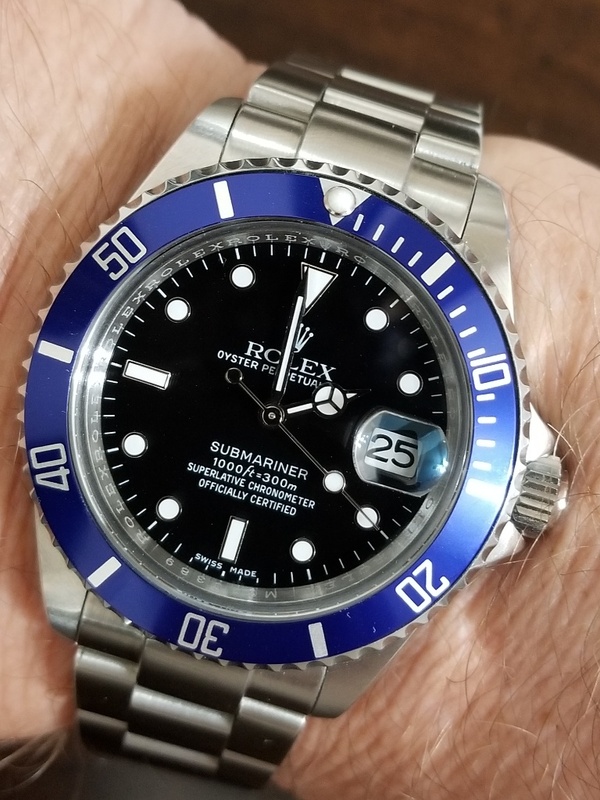 Not a super rep but I love mine. You can get it with oyster by asking. Any TD can get it, send them a link. What's the best option if you want a 5-digit sub without date? how you change the insert so easy? doesn't it damage and bend with removal? or do you have 3 bezels as well? One bezel on this watch. Insert and bezel fit are slightly different from one rep to the next. You just have to learn the techniques and components of the different types. Some snap in, some glue in, some double-sided tape, etc. who made yours? do you have 3135 clone in there? 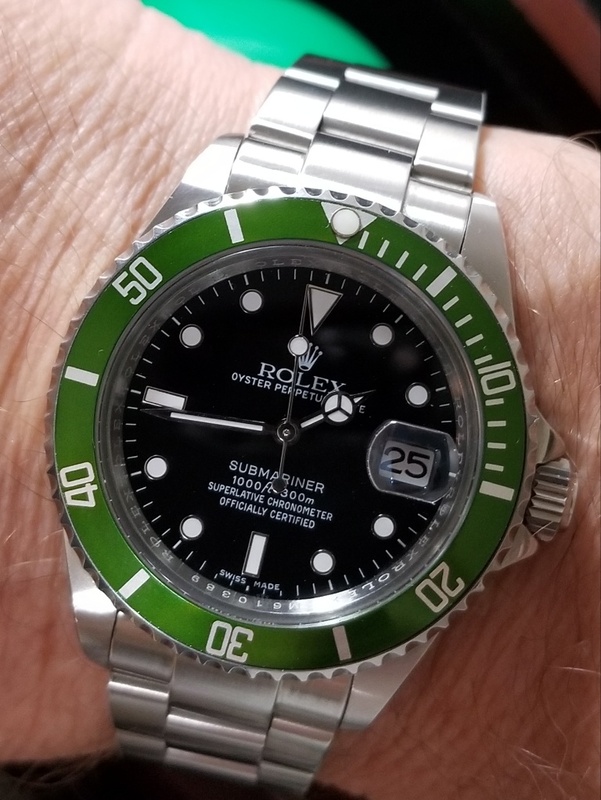 Link to the watch (with specs) is in the first post of mine that you quoted and no I don't do superclones. There are no reps of the 14060 available. No it will not fit. The 14060 dial is smaller in diameter. It will fall through the 16610 case. If you like an "oldschool" No Date Sub - go for a 5513. Source a Cartel / JKF 5513 and source dial and so on and than modify and rework the case to become a real nice GEN looking No-Date. The best choice.